In this comprehensive guide to crafting your own spiritual intentions, rituals, and blessings, urban shaman Mama Donna draws upon a variety of world cultures to show how to transform your environment into a sanctified haven. Spiritual blessings of our surroundings can help enhance our daily lives, from processing emotions and releasing negative energy to setting the stage for our fondest dreams to come true. Your immediate surroundings are the psychic as well as physical spaces that you occupy in the world -- they house not just your body but your energy, your thoughts, your demeanor, your spirit, your deeds, and your legacy. Shouldn't the energetic atmosphere within your walls support you emotionally and spiritually as well? A personalized blessing ceremony engenders an aura of hope and the possibility of positive new beginnings, creating a safe milieu conducive to regeneration. Times of celebration and transition -- receiving dinner guests, hosting a family get-together, traveling to a new locale, moving offices or homes -- also deserve to be sanctified. 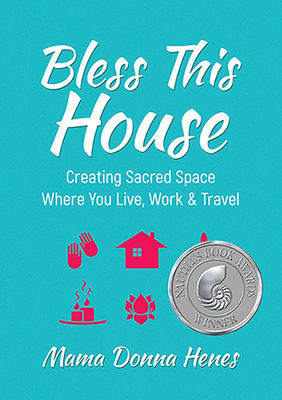 This book is your guide to creating a warm home and blessing your space for any occasion. Since 1972, "Mama Donna" Henes has designed and led multicultural, nondenominational celebrations, bringing the power of ancient, traditional rituals to contemporary ceremonies. Henes leads New York City's annual Village Halloween Parade and performs at outdoor equinox and solstice celebrations throughout the Big Apple. She maintains a ceremonial center, ritual practice, and consultancy in Brooklyn, Mama Donna's Tea Garden and Healing Haven, and is the author of The Queen of My Self, The Moon Watcher's Companion, and Celestially Auspicious Occasions.